"At some point, you will see something." But when? Clancyheads got a big dose of nostalgia last year when Ghost Recon Wildlands introduced ‘Special Operation 1,’ a free add-on mission that let you hang out with Splinter Cell badass Sam Fisher. 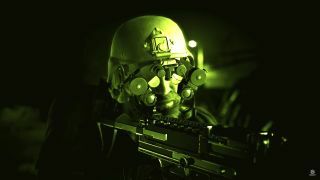 In a new interview, Ubisoft’s CEO Yves Guillemot confirms that the company has plans for the Splinter Cell series—although it’s not clear what shape those plans might take. Guillemot spoke with IGN’s Unfiltered podcast, and the discussion ranges broadly from the first games the Guillemot brothers played and why they founded the company to what’s going on with Beyond Good and Evil 2. But buried in the discussion is a diversion on Splinter Cell and how that game changed Ubisoft. It was a gamble, he says, since the company initially launched the game on the original Xbox and skipped the PlayStation 2. Guillemot answers the question very carefully. “When you create a game, you have to make sure you come with something different enough from what you did before,” he says. Guillemot goes on to say that the last Splinter Cell game, Blacklist, arrived amid a very vocal fanbase reaction saying “Don’t change this, don’t do that.” That made Ubisoft’s teams “anxious” about working on a follow-up in the series. That’s what we in the business call the “money quote.” It’s indirect but clear confirmation that something is being worked on. Ubisoft obviously isn’t ready to talk about whatever it is yet, so we might be waiting a few years.